Do you want to discover fun, interesting and strange facts about volcanoes? Then this workshop is perfect for YOU. Learn about hot magma & lava, famous eruptions, volcanoes around the world and on other planets, volcanic gases, continental drift and more. This is a hands on workshop where you can check out fun volcano materials and make your own volcano as well. During the workshop we will explore volcano music and movements from around the world. At the end of your workshop you will receive a certificate, a volcano fact leaflet and you can proudly take home your own volcano. Join us this Sunday at 2.30pm in the Becroft Gallery at Lake House for a laid back mix of bluesy-countrified-soulful tunes with some fun thrown in from musical pair Mel and Kevin (MK2 Duo). Between them they have played numerous venues in NZ and overseas, appearing on stage with or opening for Kiwi and international performers. $10 at the door, Children under 18 free. no booking required. Doors open at 2pm. Lake House Courtyard, Gallery if wet. Come and be a part of Lake House Arts St Patrick’s Day Free Music Jam. This afternoon promises to be a fun, inclusive, all levels of participation event. Anne who is guiding the session is a trained classical music teacher, and she often performs her mix of original compositions. Ceol na cello” plays a revival of some 70s folk musicians, as well as older traditional and original compositions. Anne will perform a selection of songs and also invite guided participation from the audience during the concert. Come and celebrate Irish styles at Lake House Arts! It has taken a while for this to happen again but I am delighted to invite you to our upcoming drum lampshade making workshop! You will be making your very own 10" or 12" diameter drum lampshade using materials provided. All you will need is 0.5m of your own fabric (specific details will be emailed when booking) or there will be fabrics that can be purchased from $10pm. Tea, coffee and cookies provided. More available to purchase at the lovely onsite cafe. Confirmation and payment will need to be made to secure places. Deadline for booking is 16th February. Further dates each month, please ask for details. Also offering home bookings for small party groups, details to follow. Friends and whanau of Mere and Lake House Arts Members (and their family members) are invited to create a unique panel work which celebrates and honour their family, history and the path that has led them toward being a part of the Lake House Arts Whanau. All participants will meet with Mere and Natanahira Pona to have a hui and workshop the exhibition process and will be invited to learn about using Maori artistic styles/patterns/motifs in the creation of the work. At the hui participants will receive their panel/s and can begin working on their contribution to the exhibition. All participating artists will own the panel/s they create and are encouraged to make the panel/s for sale during the exhibition. All participants should attend. Participants will receive panel/s and guidance here. Participants will be given access to the online form to fill out for artworks provided for the exhibition. A poupou is a wall panel located underneath the veranda of a Māori wharenui (meeting house). It is generally built to represent the spiritual connection between the tribe and their ancestors and thus each poupou is carved with emblems of the tohunga whakairo’s (carver's) particular lineage. The poupou may also be decorated with representations of the tribe's ancestral history, legends and migration stories to New Zealand. As such each wharenui, and by extension the poupou, are thus treated with the utmost respect, as if it were an ancestor. Artwork should be wrapped in bubble wrap and contributors must fill out the online form provided at the hui in February. Participants are welcome to help install the exhibition. Presented by artist Evan Woodruffe, this demonstration will give an overview of the fantastic range of materials available to artists these days. Covering exciting new colours, surfaces, mediums, and brushes, this will inform everyone who works in acrylic, oilcolour, watercolours, and mixed media. Join us this Thursday FEB 7 at 11am to meet and hear from our OFF THE WALL artists. This will be a podcast event celebrating and learning from Lake House Arts successful 2018 artists. 11am - talk (free) 12pm - Join us for lunch. Under the direction of the creative team from Tim Bray Productions’ Youth Theatre, students will have the opportunity to explore their performance skills, build confidence, and create a unique piece of theatre, ready to ‘Hit the Stage!’ at the end of the week with a free-entry outdoor performance for family and friends in the grounds of the Lakehouse. Fun and laughter are an essential part of the workshop as our young performers experience what it takes to get a show from the rehearsal floor to the bright lights of the stage. Families are invited to watch the final performance at 5.30pm on Friday in the Lakehouse grounds. Book early to secure a place for this school holiday theatrical escape as Hit The Stage! NB: On Friday 25th Jan 2019, you may collect your child at 3pm as usual and return them at 4.30pm to prepare for the show OR your child may remain at the Lakehouse in our care until the show begins (please ensure they have food and drink to eat). There will be a sheet for you to sign midweek indicating if your child is remaining and also for you to indicate the number attending the performance. LAKE HOUSE AFTER DARK... HALLOWEEN EDITION! For Halloween, Lake House will be open to the public from 9pm until midnight and all the lights will be out! Entry by Koha Donation. Are you prepared to scour the hallways and byways of the facility looking for the Lake House Ghost? Lake House Open day is an opportunity to come and see what we are all about! Event runs: Saturday, 1 September 10am - 3pm followed by a concert by VoxNova. It’s the first day of Spring and Lake House will be springing into action! Our tenanted studios, class studios and venue hire rooms will all be freely accessible to visit on the day. As part of our Education Program, we will have students’ work on display in various studios to give insight to our classes for both adults and children. Our staff and volunteers will be able to guide you through the premises and our programs on offer. Meet and talk with the artists behind our Matariki Exhibition and gain insight to their process, practices and place in New Zealand art. Seven Woman/Ngā Wāhine e Whitu. Gallery Exhibition – Becroft Gallery. Tūtaki ki ngā Kaimahi Toi ki muri I te whakaaritanga Matariki – kia rongo , kia kite I ngā āhuatanga o I roto I to ratou ake Ao, ngā Tikanga, ngā whahaerenga nga mahi toi ki Aotearoa. Celebrate World Wide Knit in Public day! Come along and knit in public at the Lake House. Lake House Arts Centre is an official venue for WWKIPDAY! Knit in the Sun, Knit in the Rain. KNIT KNIT KNIT AT LAKE HOUSE ARTS! Astrid Salling from Copenhagen, Denmark – organizer of WWKIPDAY since 2011. World Wide Knit in Public Day was started in 2005 by Danielle Landes. It began as a way for knitters to come together and enjoy each other’s company. Knitting is such a solitary act that it’s easy to knit alone somewhere and sink into your work without thinking about all the other knitters out there. Neighbors could spend all their lives never knowing that the other knits. This a specific day to get out of your house and go to a local event (with your knitting in tow) just for you and people like you. Who knows you might even bump into your neighbor! Consider this a spark, to ignite a fire; getting all of the closeted knitters out into fresh air. WWKIPDAY is really about showing the general public that knitting can be a community activity in a very distinct way. In some places there are many different knitting groups that never interact with each other, on WWKiP Day they come together in one place, making them hard to miss. info@lakehousearts.org.nz or 09 486 4877 to reserve your slot. $35 - per shoot with some proceeds supporting the cause and you get a digital copy of the photo shoot to your inbox in time to get it framed for Mother’s day! Support the cause and celebrate the men! Live performers to be announced! Founded in 1997 Alan MacDonald Voxnova has hosted musicians from all over the globe (Scotland, England, France, Italy, Brazil, Germany, Quebec, Belgium, Serbia, Greece, Chile, Columbia plus locals) all of whom have left traces in the repertoire. The current repertoire includes: Manouche - the famous Gypsy Swing style created by guitarist Django Reinhardt and violinist Stephan Grapelli as well as vintage Latin offerings from Venezuela and Argentina plus some original material. Math professor violinist James Sneyd has performed all over the world in various genres. Guitarist Doug Robertson had a degree in music and is a brilliant inventive soloist. Music tutor and former Auckland Philharmonic Orchestra bassist Alberto Santarelli is a legendary figure in the local and international jazz scene. Alan MacDonald plays Cuban bongos and cajon, a box like instrument from Peru now closely associated with flamenco for its ability to imitate la palmas (hand clapping percussion). Voxnova is among the most favoured bands at Auckland Jazz & Blues Club, has enjoyed residencies lasting years, and current residency at the very chic Caretaker Bar (Britomart) on Mondays. This is a great opportunity for appreciators and budding musicians alike, to see world class musicians at the top of their field. Hot Artists served fresh at Lake House Arts – The Summer Playlist. Track Six – You and your friends’ unique experience! Lake House Arts present The Summer Playlist – inviting our locals to be immersed in a multi-media social event with music, conversation and arts debate. Pairing musicians with an established local visual artist exhibiting in the North Shore Notables exhibition (Feb 19 - Mar 25 2018), and recent arts graduates exhibiting in our Initiate[s] show (Jan 22 - Feb 18, 2018). Book your space now to be at the centre of arts activity. Kick back after beach cricket and barbeques and be immersed in the most exciting event at the Lake House this summer. $15 includes cocktails on arrival, some snacks and nibbles and an absolutely unique series of social events, that will make the North Shore, surrounded by some of the best beaches a hot, vigorous and inspirational destination this summer. NB: On Friday 26th Jan 2017, you may collect your child at 3pm as usual and return them at 4.30pm to prepare for the show OR your child may remain at the Lakehouse in our care until the show begins (please ensure they have food and drink to eat). There will be a sheet for you to sign midweek indicating if your child is remaining and also for you to indicate the number attending the performance. EXHIBITING: Artists will own their final works. They will be exhibited and be for sale at the PumpHouse Outdoor Amphitheatre during the North Shore Summer Shakespeare Season. TO ENTER: Only 12 places available for artists between the age 15 and 25. The Lake House Arts Centre in association with the PumpHouse Theatre call for young Mural and Street Artists to create North Shore Summer Shakespeare inspired artwork – in competition and to be exhibited at the PumpHouse Outdoor Amphitheatre throughout the North Shore Summer Shakespeare Season. The Lake House and the PumpHouse; two of the North Shore most unique visual and performance art spaces are collaborating to bring our community ‘Hitting the Boards’. This is a special project bringing together various community groups to create, share, exchange ideas and build a unique North Shore identity, as well as encourage aspiring artists. It is a tribute to Shakespeare, artist Raymond Boyce and the significance of community art and what it can achieve. It’s been 401 years after William Shakespeare death- a genius, celebrated and still inspirational today. In the 1990’s Wellington artist Raymond Boyce designed four embroidered wall hangings for Shakespeare’s Globe in London’s Bankside. It was made by more than 500 skilled woman embroiders across New Zealand, - some even from the North Shore. This contribution, donating a set of embroidered hangings, made from New Zealand’s world famous wool, to adorn the frons scenae of the Globe Theatre stage, is a testament to the love for, and power of art to bring people together. We are inviting young artists (ages 15-25) –to create “hangings” with an attitude. They will have the opportunity to see rehearsals from the show and meet with the North Shore Summer Shakespeare Directors and are set the challenge to respond to the production as well as the space, and engage with various influences of art and culture. We are inviting artists and students particularly interested in illustrative art, street art and theatre design to partake in this exciting project. For the chance to participate and have exclusive tutoring from a Street and Mural Art Mentor and Shakespeare Specialist. Hitting the Boards is Proudly Supported by Auckland City Council and the Devonport/Takapuna Local Board. Artists will work onsite at the Lake House Arts Centre from Saturday January 13th - Friday January 19th (10am to 2pm) with some daily guidance from a mentor. The work must be completed in this timeframe and onsite and be ready for installation Saturday 20th January 2018 . Each Artist will be working on a weatherproof wooden board, 1800mm x 1200mm in size, Basic Paint and Board will be provided. There is also a cash prize of $1000 to the winning ‘board’, which will be judged a panel from Lake House Arts Centre and the PumpHouse Theatre. Stall holders should arrive no later than 10:30am to set up their stall. If you book $10 table space you will be given a table and share one of 2 Ezy Ups we have. Spaces limited. You can supply your own table. If you book a $25 Ezy Up Space you need to supply your own Ezy Up. 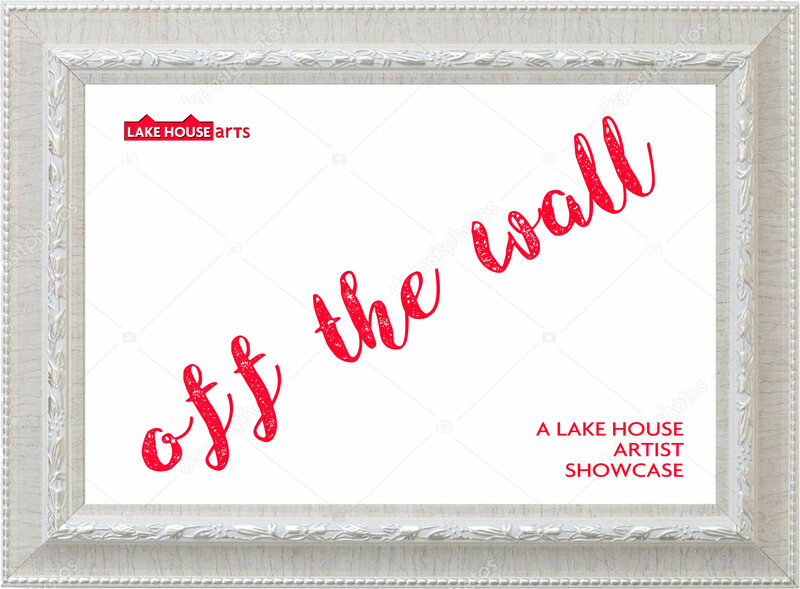 In the 16th Century, the very first specialized open art market originated in Antwerp, connecting art lovers, with artist - A tradition we are continuing here at the Lake House! To get more information for the Christmas Market and to book a stall email info@lakehousearts.org.nz or call 09 4864877. In 2018 The Lake House Curated Arts Market will be run once a month. As an extension of our GALLERY / SHOP Exhibition, we are pleased to be able to open up the Gallery and Shop after hours to give our busy community the opportunity to get in all the after work Christmas Shopping from the same location. We have a large selection of affordable boutique items ideal for Christmas. All items are cash and carry. The Bloomsbury group: Privileged bohemians who dabbled in the arts – or creatives who made an important contribution to the development of modern culture? The Group; an informal but highly influential art association formed in Christchurch, New Zealand in 1927. Chill out and chat with others about what you do and what you think. It’s a total informal soiree for artists and enthusiasts of all sorts. Massage Available in the Pop Up Studio - $1 per minute, limited time available. Book a time 0273316120 or turn up on the night to be on the list. The Temporomandibular joint is an important prehensile joint in our bodies. It’s our jawbone, and the socket in which it sits. The TMJ allows us to move our jaw and to eat, and we use it when we’re speaking and along with all the movements of our face. It relates to the face, the cervical vertebrae of the neck, the spine, the brain stem, the occipital and tri-geminal nervous systems, and it taps into an array of muscular systems including those close by, like the big masseter muscles (chewing muscles). But also it can refer to the muscularity and nervous systems in our faces, head neck arms, backs and legs. For several years I have developed a further knowledge of how the jaw and neck area carry tension, and create referred tension because of the processes I have gone through of learning about my own face and jaw area. Massage and understanding how to continue self-care of the jaw and the area around the tmj is great for anyone. However, it may be especially useful for those who are experiencing fatigue in the jaw as a result of using their voice or from eating, headaches relating to tension in these areas, or those who have tension resulting from dental or orthodontic treatment. If you would like to book a time contact Genevieve - 0273316120 or turn up on the night to secure a time. I would love to invite you to our Summer Poets evening on Friday December 1st at 7pm in the Lake House Cafe. There will be music, open mic and celebration with a special reading from our seasonal poet in residence James Crompton. There will also be $6 drinks available all night! Please help us spread the word and I hope you will come and be a part of this beautiful thing. Established in 1997 Voxnova has hosted musicians from all over the world who have left their traces on the repertoire. Current members are: Alan MacDonald (founder percussion), Doug Robertson (jazz guitar), James Sneyd (violin), Alberto Santarelli (double bass). Voxnova has enjoyed many lengthy residencies over the years and currently performs every Monday night at Caretaker Cocktail Bar, from 9pm (Britomart). Reinhardt and violinist Stephan Grapelli) as well as the Flamenco the Rumba style made famous by French Roma musicians, The Gypsy Kings. Wet Restricted to first 80 indoor seats. Cost $30 : $20 GoldCard/Students. Pay At the venue cash or card. Food Normal Cafe services available. Sunny day : bring kids for free. Rainy day: Suitable for adults only. VOX365NZ celebrates diversity in the arts by looking at the unique relationships creatives have with their art, cultural identity and community in New Zealand. VOX365NZ is a multi-cultural, cross-platform series featuring interviews with 365 New Zealand artists. It’s an interactive project that includes both established/mainstream and new or emerging/underground artists. For this screening, VOX365NZ will present 10 New Zealand artists - their process, ideas and experiences to a wide cross-section of the Auckland community. Each 6 minute interview intends to promote the integrity of each artist’s practice and highlight the important social outcomes of experiencing art. The first ever Lake House of Horror! Definitely more treat than trick! Come and experience a late night event for the whole family. An evening of costumed fun and family friendly frivolity with spooky stories and scares along the way. There’ll be dancing, the café will be open, a special screening of Night of the Living Dead, the original Zombie Horror and the evening will be capped off with spooky stories told by the Lake House “Grey Ghost”. Tickets strictly limited. Book on the Lake House website for our traditional High Tea with a selection of 8 finger food treats and coffee or tea. A touch of class at Lake House Cafe for Heritage Month. 2017 is a significant year for the development of Lake House Arts Centre and as such we would like to celebrate with all our friends by creating and placing in the heart of the building a time capsule that will mark Lake House History and symbolise it’s legacy for future generations to discover. Tiffany will focus on the cultural concepts behind her work and how the process reflects this. Alchemy - a seemingly magical process of transformation, creation or combination. Each artist has chosen their own view of practice, considering the creation of cast crystal, natural volcanic glass or other media, and its relationship to lost wax casting and the progression into an immutable permanent material. All are welcome to join us for a special afternoon event in the Becroft Gallery celebrating the history of Lake House. Learn all about how the Lake House came to be at Barry’s Point Reserve and the trials and tribulations of establishing Lake House as an Arts Hub in Takapuna. Also presented during a special slide show of archival images of Lake House in History in the Pop Up Studio. Free Family Pop Up Activities begin on the first Saturday of each month - come and create your own decorations or wall art with your whole family. You can even order food from our café and have it brought to you inside the Pop Up Studio. Fun for the whole family. We are celebrating a DOG day dedicated to the love of dogs at the Lake House in association with Petstock Takapuna. With a full program of elegant and fun events for dogs and their owners. We encourage you to doll up your dogs in their best gear and participate in a range of fun activities from dog friendly art to a doggy styles fashion show. In addition to our fun free events, we are being joined by some talented professional guests who are all charging a special low fee of just $20 for their time. These events are bound to prove popular so we recommend booking your session in advance either by email: info@lakehousearts.org.nz or phone 09 486 4877. Dress your pooch in their finest outfit or pose them au natural to get a tasteful fashion photo taken by Lyle Adams. Lyle is a professional photographer and will digitally send you a copy of your pet's photo shoot once their picture has been taken. We are very lucky to have the talented illustrator and part of the renowned 'Quick Draw' artists group Rebecca ter Borg joining us to create live portraits of your dogs. You will leave with an original drawing of your very own. Susie owner of Dogease is a certified canine trainer and has been working with dogs to improve their behavior since 2004. Susie is offering Puppy training at 10am-10.45am and Trick training for adult dog 11.15am-12pm, very limited places so please book. Celebrate world Knit in Public day! Free knitting patterns available; bring your stash, knit away!!! Summer Fun Programme - Pre-school Play and arty fun - FREE! On Wednesday mornings it is Play, Play Play down at Lake House for pre-schoolers. From 10am -12pm little ones can play on all the toys supplied by the Takapuna North Community Trust and have a FREE art-play session with one of our tutors. No bookings necessary. FREE of charge. If it is raining the outdoor event is cancelled. Many notable NZ artists have either grown up, lived on or produced art about, the North Shore of Auckland. The North Shore Notable’s series of exhibitions aims to profile these artists with solo exhibitions of their work and associated artist talks or events. Recent graduates from tertiary art and design schools present works from their graduating portfolios. Come along to experience New Zealand's up and coming artistic talent. Madison Rogers - Diploma in Jewellery - Hungry Creek Art and Craft School. Visit us in January with the kids and they can have a go at a craft activity in the Becroft Gallery! Parents: the cafe is next door to the gallery - perfect opportunity for you to take a breather! Hunt for the Wilderpeople with the Green Party! Outdoor movie night with food and music from 6pm. Movie on the big outdoor screen from 8:30pm. All welcome - Koha entry. Join us at Lake House Arts Centre for a culinary experience - our London qualified Patisserie chef will be creating some amazing scrumptious treats for this one off experience. High tea's will be served on beautiful vintage linen and china cake stands in our cafe - all housed in the historic Lake House in Takapuna. Prepaid bookings are essential to secure a place. 24th and 25th September 10am and 2pm. 1st Oct and 2nd October 10am and 2pm. 8th Oct and 9th October 10am and 2pm. Visit the gallery during the first week of the July school holidays with the kids and join in on our Matariki craft activities - Free! the Becroft Gallery, 11am Wednesday 11 May - All welcome! style hats - first make the basic hat in card and then decorate with feathers and fabric, paint or crayons - make it as weird, wacky and 3D as you can! Then, have a go with our dressup clothes and take a photo in your new hat using our special oversized picture frame! Join Rebecca Holden for an indepth look at her Grimm Project works and the concept and thoughts behind it. Come celebrate the release of Abigail Knightly with us! There will be face-painting, a Q&A opportunity with the author & illustrator and lots of cake! Please come in your favourite dress-up costume (adults too!) and bring a big smile. Nibbles & drinks provided, books and some of the original illustrations will be available to purchase. Pick up a tour map and guide (not available until second weekend of Heritage Festival) and go for a leisurely stroll around the Lake House Arts Centre's heritage buildings and sites of interest. Also on show, the permanent exhibition, Harcourts Heritage Homes and Buildings of Takapuna and Milford and Marking Time by the Studio Printmakers Collective. The Annual Great Art Sale is back! Pre-Registration now open!! Monday 01 June 2015 - Monday 06 July 2015- Pre-registration now extended until the 15th July !! Our Great Art Sale has been running now for over 10 years and gets bigger and better each year! Terms and Conditions for Pre-registration: Pre-registration - open from 1 June - 15th July. It is not compulsory to pre-register but artworks that are pre-registered will be given preference for inclusion in the sale if the entries exceed the maximum number of artworks that can be displayed in our spaces. All artworks that haven't been pre-registered will be taken on a 'first come, first served basis' on the receiving days (dates below) until the maximum is reached. Once registered, to retain your place in the sale please pay the entry fees (fee schedule and payment options below) by the 15th July or as you register. Please retain your receipt and bring with your entry form, when you drop off your art works. Drop off dates are below. Please do not drop off your artworks before or after these dates as we do not have any storage capability. To pre-register for the Sale please send the following information to info@lakehousearts.org.nz or PO Box 33 1037, Takapuna (or bring in to reception). We will add a notice to the website and announce it on our facebook page if the maximum number of entries has been reached by pre-registration before the receiving days. Experienced and talented professional Calligrapher, Margaret Woollett will give an in-depth demonstration of various calligraphic techniques. The purpose of the Peace Poppy Project is to promote peace while honouring and remembering those who were affected by war. It enables and supports groups and individuals to consciously hand-make a symbolic poppy and then have them collectively displayed for ANZAC day which has particular significance in 2015, remembering 100 years on, all those who died in WW1. The poppies will be installed in Hurstmere Green, Takapuna in the shape of a giant Peace sign by Lake House and Takapuna Business Association staff and volunteers. This community project has reached the whole neighbourhood - Girl Guides and Brownies, Girls Brigade, Primary and High Schools, Smales Farm Staff, Takapuna Beach Business Association and rest home residents have all been involved in making the Poppies. Summer Fun Programme - Preschool Play Wednesdays! On Wednesday mornings it is Play, Play Play down at Lake House for pre-schoolers. From 10am -12pm little ones can play on all the toys supplied by the Takapuna Community Coordinator and have a FREE art-play session with one of our tutors. No bookings necessary. FREE of charge. If it is raining the event is cancelled. As part of the OPEN weekend event Lake House will be OPEN with fun for everyone! Lake House's historic buildings, arts and craft stalls, Live music, displays and exhibitions, Kites, demonstrations of art and craft and techniques, open artists studio's, art for sale and FREE art activities for the kids. Lake House Arts Centre has a wonderful cafe on site for your lunch or snacks and extensive grounds should you wish to bring a picnic. Interested in taking one of our courses and perhaps checking out the art practice of your current tutor? Everyone is welcome to our special Christmas shopping night on Thursday 4th of December 5:30 - 7:30pm. The Gallery shop will offer 15% off its stock and selected artists and craftspeople have been asked to present stalls of goodies in the Becroft gallery and cafe gallery, for ONE night only!! We will have jewellery, ceramics, wood turning, gingerbread goodies, textiles, handmade xmas cards, artworks and Xmas cakes. North Shore Youth Music will be performing a set of Christmas Carols from 6pm on the night. Pukepuke O'Tonga (POT) translates to "hold onto" or "to uphold" Tonga and focuses on preserving Tongan culture and heritage through dance and music. P.O.T. is a suite of 10 historic Tongan dances dating from 1200AD recovered and arranged by the Pusiaki family to ensure they will not be lost. Each dance has its own songs and rhythms, beautifully delivered by the dancers in a village setting. Come down and witness one of the biggest gatherings of Tongan dancers from all ages perform historic Tongan dance on Saturday 29 November at 10am, a must see! Spell and TDK from the M?ori HiFi are two of Aotearoa's leading DJs. Both are hip hop purists and have amazing skills on the turntables coupled with an ear and style to work crowds both young and old. When talking about visionaries of M?ori and Pacific music, you need look no further than the iconic Ardijah. They bring their unique Poly-Fonk sound to Urbanesia 2014. Led by the duo of Captain Fonk Ryan Monga and the amazingly talented and influential Betty-Anne Monga, they headline a lineup of musicians which have without doubt been influenced by the Ardijah sound. From Poly infused RnB, funk and reggae they come correct everytime. Ardijah will be playing all the tunes you know and love, a perfect way for young and old to end the Urbanesia experience. coLAB stands for collaborative/collective/competitive Live Art Battles. Visual artists are invited to try their hand at fast paced street art battles. Smokefree Pacifica Beats is a music competition that provides a platform for relevant, cultural expression in a contemporary music environment. Entrants must incorporate traditional culture through stories, instruments, movement or language. STKS is undoubtedly one of the finest talents to emerge from Aotearoa. An artist, musician, singer-songwriter, dancer and all-round entertainer, his presentation of showmanship and original flare will captivate you and keep you wanting more of his infectious comical conduct and amazing multi-skilled talents. You can't help but move and groove to STKS' mix of gospel, neo soul-funk, electro-acoustic elements, fused with a contemporary island sound. A fantastic showman he will keep you treated to his unique sense of humour and all-round spark of entertainment. The Midnight Trips are a five piece band consisting of family & friends who got together December 2013 for an impromptu jam and from there decided to create something official. Their style is a progressive fusion of hip hop and soul with a unique Pacifican edge. They are part of the new wave of Aotearoa�s pacific soul artists. The crew is made up of, Psalms (Lead vocals) S.F.T (Beat/Drums) Tonga (Keys) Ice (Bass) Rizvan (MC). coLAB stands for collaborative/collective/competitive Live Art Battles. Local visual art practitioners are invited to participate in a pop up, two hour 1-on-1 battle. The battles are fast paced, energetic and attention grabbing. Battles are accompanied by live DJ's who add to the vibe. coLAB seeks to engage and inspire communities and youth with an artistic voice. Feminine fiery fierceness, Fine Fatale is a hot new dance form fusing Pacific cultural traditions with a slice of underground art-form, 'Vogue' bringing you the 'Past', the 'Now' and the 'Future'! Fine Fatale is blurring the lines between feminine and masculine, representing the new generations of young, savvy and sassy fa'afafines who are setting trends in Pacific performance and the style stakes of Aotearoa's youth population. Fine Fatale is a dance work that is a development of Mario Faumui's orginal highly successful 'La'u Lupe' dance piece performed in 2011. Experience our colourful and fabulous artists first hand as singers, musicians, dancers and street art fill the stage with fresh talent. This may be the place where a star is born. Featuring acts such as: Fine Fatale, coLAB, Pukepuke 'O Tonga, Solo hip-hop Dance and much more. these women create works and designs, freestyle. Contact reception for booking information. Fierce hot Fine Fatale pacific vogue dance group will take you through some hot new dance steps and phrases. Come and enjoy hip-hop beats and Fine Fatale swag, get to know who you are and how to express that through movement. 27th and 28th September 10am and 2pm. 4th Oct - 2pm only and 5th October 10am and 2pm. 11th and 12th October 10am and 2pm. Enjoy an entertaining talk and tour of the historic Lake House Arts Centre and its surrounding buildings. The Lake House, an Edwardian/Victorian beauty is a Takapuna landmark and was originally a family home situated on Takapuna Beach. It has had a fascinating history - from family home, hospital and seaside boarding house to a party destination for the young and hip during the later half of the 20th century. The Barracks building, shifted on site to be used as art studio's and classrooms started life as World War II Army barracks at Fort Cautley in Takapuna. To celebrate the Auckland Heritage Festival we have added in some heritage themed school holiday classes for October. An Open Day at Lake House Arts Centre is fun for everyone! Talks and tours around the Lake House's historic buildings, vintage, art and craft stalls, Live music from the Lex Pistols and Northcote college band, displays and exhibitions, Kites and vintage cars,demonstrations of heritage crafts and techniques, open artists studio's, art for sale and heritage themed art activities for the kids. Lake House Arts Centre has a wonderful cafe on site for your lunch and will also be open for bookings for a vintage High Tea on Saturdays and Sundays during the Heritage Festival (bookings essential). Reserve. Also featuring Marie Potter talking about her installation. Through Dragons' Eyes features a selection of photographic works from NZ Chinese photographers embracing the cultural experiences and aesthetics of living in a new land. It is an emotional journey when someone leaves their homeland to go and live in a foreign country and arrival in the new environment creates questions, difficulties and confusion but also induces change. Inspiration - Where to from here? Trisha will talk through the process of working from an idea, whether from a photo or drawing or other inspiration. How she works through the sometimes long process of how to get the thoughts into a mixed media piece or quilt. Often the hardest part is choosing which medium to use and how to apply it. She will also explain who Dorothy Collard was and how this Challenge came about. Jim will be talking about his desire to make paintings about places and how he references both monochromatic photography and Color Field Abstract painting (Late NY School). Janet Williamson, talented artist, teacher and Lake House Tutor, is going to be giving a demonstration on 'how to start a painting'. Using a still life setup and specifically designed lighting, Janet will show how to prime the canvas with a background colour, choose an initial composition and also apply chiaroscuro (the use of light and shade in painting and drawing) techniques to your artwork. 1pm in the Becroft Gallery. DAVID LING PUBLISHING LIMITED is an independent New Zealand book publishing company established in 1992. Up to ten new titles are published each year - mainly biography, history and general non-fiction, and children's picture books through the recently launched Duck Creek Press imprint. David Ling was a director of educational and general multinational publishing companies where he worked for nearly twenty years before establishing David Ling Publishing. An active member and long-time former councillor of the Publishers Association of New Zealand (PANZ), he was recently awarded Honorary Life Membership for his services to the industry. David works from Birkenhead and is a great supporter of the North Shore and Auckland literary community. He will be speaking about his career, his love of books and in particular his cache of children's book authors and illustrators under the Duck Creek Press label. Featured in the Picture This exhibition is a book from David's stable, Goodnight Pumpkin, written by Belynda Smith and illustrated by Marie Sanders. The Biennial Wood Sculpture Live event is back in 2013. Watch talented sculptors working live over 10 days transforming massive chunks of raw Macrocarpa, Cedar, Pohutukawa, Norfolk Pine, Silky Oak and Totara into magnificent artworks. Daily in the grounds of Lake House from 9am to 5pm. Another FIRST for Lake House. So much FREE fun on Saturday 8th December for the whole family.